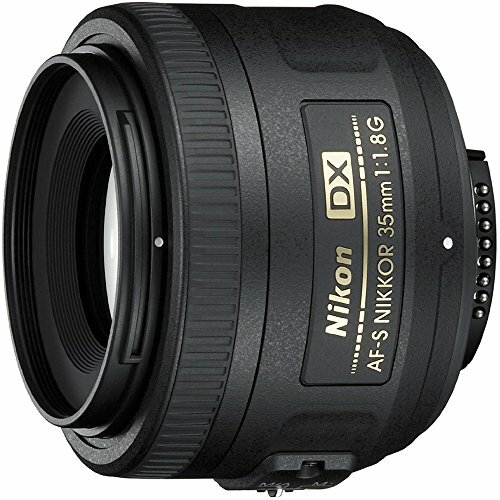 Looking for recommended lenses for your Nikon D3400? Here are the top rated Nikon D3400 lenses. Many people thought that the beauty of the picture will depend on the brand of the camera itself. Well, it is now the time that you should change this perspective. This is because the truth is quite far from this belief. In reality, the quality of the picture will depend on the lens. The better the lens, the better work it can do. This is why; whether you are a professional photographer or just a hobbyist, you must choose the right lens for your DLSR camera. With this, we list the best lens in the market that will perfectly suit with Nikon D3400. With these wide varieties of choices, we are hoping that at the end of this review, you will find the best choice. 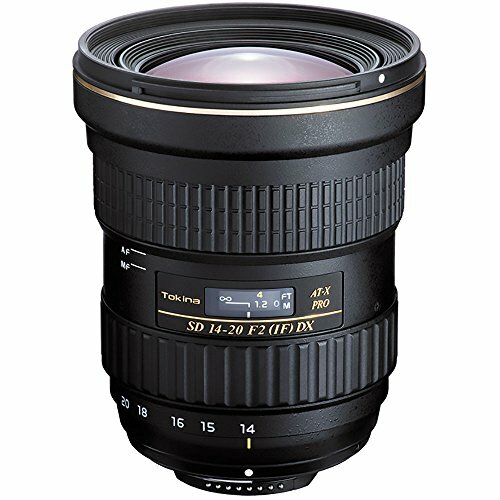 Surprisingly lightweight and compact, this is the Nikon AF-S DX NIKKOR 18-300mm f/3.5-6.3 ED as it comes with a weight of 1.21 pounds with a dimension of 3.9 x 3.1 x 3.1 inches. Though this lens is light in weight, it still performs well. In fact, it is one of the most versatile lenses you can choose for your Nikon D3400. Still photography, videos, landscapes, interiors, portraits, outdoor photography, you can name it all; they are achievable with this lens. Thanks to its massive zoom range which works from wide angle (27mm equivalent in 35mm) to super-telephoto (450mm equivalent in 35mm). You can expect a sharp photo with this lens too. The Vibration Reduction technology of this lens offers image stabilization since it offers 4.0 stops for blur-free effect. Even in low light situations, this technology is still highly significant since it helps the lens produce a sharp image. On the other hand, reliability is also something that this lens may brag of. With its Silent Wave Motor, you can enjoy an ultra-fast yet silent operation for convenience in every shoot. With a focal length of 18-300mm and aperture range of f/35 to f/22, this lens suits you either you are a professional or just a hobbyist. This lens is considered as a one lens solution in a wide variety of situations. As it provides a focal length that ranges between 18-200 mm, this lens offers accuracy and sharpness in every image. Comes in a weight of 1.25 pounds and overall dimension of 3.8 x 3 x inches, this lens is another lightweight lens which is compatible with your Nikon D3400. On the other side, this lens offers a focus of about 20 inches and since it has the upgraded vibration technology which is the VR II, using this lens will both provide you an extended versatility and stabilized image at the same time. Aside from the fact that this lens uses the exclusive Nikon silent wave motor, it also features the M/A focus mode switch which makes this lens reliable and efficient at the same time. 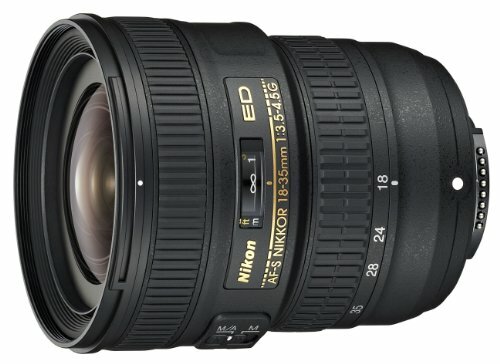 This lens is a good performing one but has a reasonable price at the same time. This is a lucky deal lens for every photographer in any field. In the measurement of 2.1 x 2.9 x 2.0 inches and weight of 10.2 ounces, lies a lens which might partner very well with your DSLR camera. 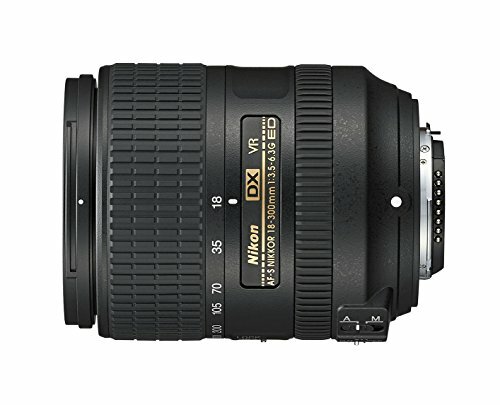 As it offers a focal length of about 50mm and aperture of f/1.4, this lens will allow you to capture stunning images. This standard lens offers a lightweight property which makes it a great travel companion for everyone. This lens offers different technologies that worked together in order to provide a better performance and efficiency in every use. These are Silent Wave Motor which works in providing high speed as well as a focus which results in accuracy. The mode switching of this lens is also useful as it allows seamless switching while maintaining the smooth operation of the camera. The aspherical lens also works in the reduction of aberrations and enables a more compact size of a lens. The super integrated coating of this lens is also useful enough which works in protecting the optical elements of NIKKOR lenses. With all the features of this lens, it is also important to put in mind that this is not a zoomable lens. Nevertheless, it works better with Nikon D3400 in providing a perfect image. Regardless of its size, this lens provides a focal length of 85mm together with a minimum focus range of 0.80m. With this, a high quality and clear images are the output which this lens can brag about. Aside from that, the Silent Wave Motor of this camera lens contributes to its overall efficiency. The Nikon Super Integrated Coating also protects the elements of this lens to let them maintain their quality and high performance. This lens comes with a reasonable price yet it has still the capability of providing a great performance both indoor and outdoor. This lens is a zoomable type with a weight of 7 ounces and overall dimension of 2.1 x 2.8 x 2.8 inches. It is a lightweight yet compact lens which provides better performance and great quality of images. With its maximum aperture of f/1.8, this lens used to deliver stability of image even in low light situations with blurred backgrounds. 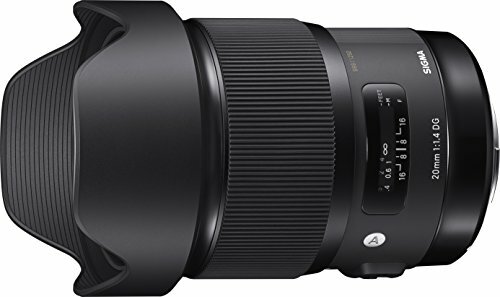 Other than that, the focal length of this lens which measures in 52.5mm will allow every photographer to provide a perfect angle for taking the best pictures. Other than that, the Silent Wave Motor AF system helps this lens to provide an accurate as well reliable performance. This technology contributes to the overall convenience of every use of this lens. The rear focusing as well as the manual focus override makes this camera efficient enough in providing stunning and sharp photos. Though this is not a zoomable type, this lens is still good enough in its job. This not zoomable lens is designed for close-up and macro photography. It weighs about 1.74 pounds with a measurement of 4.6 x 3.3 x 3.3 inches. Though it is not zoomable, this lens is still highly efficient in providing a better quality in each every image. Thanks to its focal length of about 105mm with a minimum focus distance of 10ft. 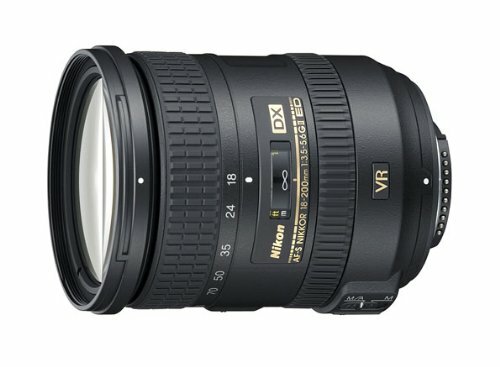 Added to the good performance of this lens is its vibration reduction feature. A technology that helps the lens to acquire a stabilize photo even under aberrations without creating blurry effects. Added to its features is the nano-crystal coat as well as ED glass elements which help the lens itself optimize its performance. 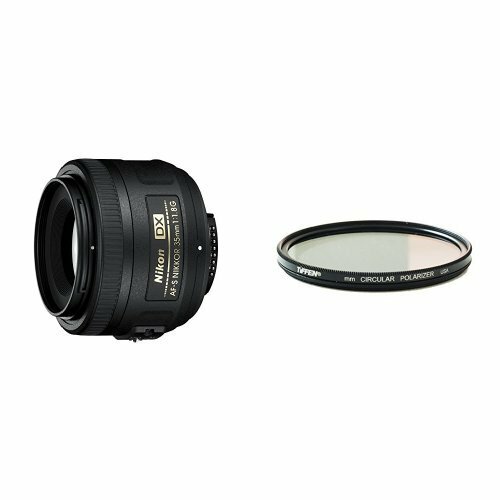 This lens also includes an internal focus whose job is to provide quiet and auto-focusing without the need to change the length of the lens. All the features of this lens worked with each other effectively. As a result, this lens is perfectly able in providing high-quality images. With its optical design, this lens has high resistance to strong incidental light sources like the backlight. It is also a good choice for those who are looking for a lens which is able to minimize chromatic aberration, distortion, and ghosting. Suitable even in low-light situations or dark photo shoots, this lens has still the ability to provide a quality picture. This high-speed lens is also ideal for snapshots. This is why; this lens is highly suitable for professional photographers indoor. With a weight of 2.1 pounds and dimension of 3.6 x 3.6 x 5.1 inches, this lens is easy to bring with and can be your partner with your photographic skills. Behind the great design lies this quality lens which is able to let you produce great pictures. With a focal length of 10-24 mm together with the close focusing of about 0.8 feet, this lens is suited for landscapes, cityscapes, interiors, architecture, and many more. Fitted to use for wide-angle shots, this lens provides an angle of 109 degrees through 61 degrees. With these properties, it is undeniably true that this lens has the capability to provide clear and sharp images. This lens will not just provide you better images but it is reliable as well when it comes to its overall performance. It uses the Silent Wave Motor that fast, accurate, and quiet auto-focus operations. The high quality of its images is also caused by the help of its sharp and color correction which minimizes chromatic aberration effectively. With an overall dimension of 3.4 x 3.3 x 3.3 inches and weight of 1.01 pounds, this lens comes in a lightweight and compact design which makes it so convenient to bring with. Versatility is a property which this lens is something to offer. With its focal length that ranges from 18 to 35 mm, this lens offers a wide angle in every shot making it highly efficient in taking different types of images. With this property, either indoor or outdoor photo shoots, this lens is good enough to use. This lens is also suitable to use for videos. Thanks to the ultra-quiet auto-focusing feature of this lens. It helps the lens to reach its full potential when it comes to its all types of operation. The fact that this lens has many features technologies, there’s no wonder that it will work fine in every use. This lens has a dimension of 3.7 x 3.3 x 3.3 inches and weight of only 13.6 ounces. This overall measurement makes this lens compact yet light in weight. It also comes at an affordable price and this makes this lens known to many photographers. 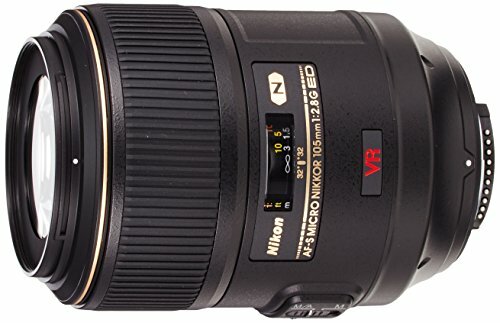 This lens is one of the best alternative lenses for Nikon D3400. However, this lens proved that its capability is more than a form of alternative but it deserves to be part of the top choices. This lens provides a focal length of 14-200mm and maximum apertures range of f/2 to f/22. With this, this lens is a real capable lens when it comes to providing wide angle. In this zooming ability, this lens has still the capacity maintain a bright light even under the use of the maximum aperture. As it comes with an optical design, Tokina AT-X 14-20mm provides a high level of sharpness as well as clarity in every photo. Suppressing flare and removing ghosting effects are possible with this lens as well. This is because of the anti-coating in each lens element of this lens. With a weight of 1.47 pounds together with an overall measurement of 3.7 x 3 x 3 inches, this lens is lightweight yet compact which is convenient to bring and to use anywhere and anytime. 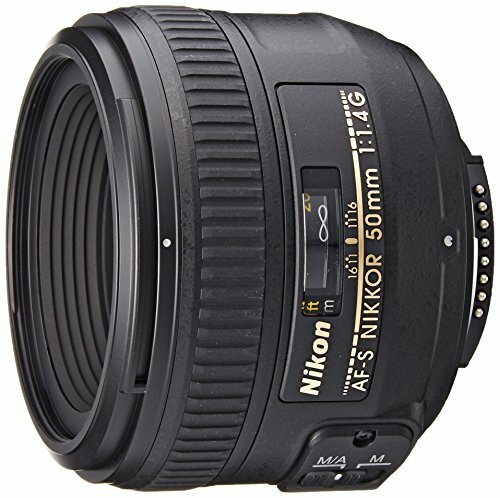 This lens features focal length of about 35 mm and a maximum aperture of F1.4. This lens is fully equipped with different technologies which are highly useful in its good performance. These technologies include the Hypersonic motor, floating internal focusing system, and glass elements specifically SLF and FLD. The work of hypersonic motor is to ensure that the whole operation of this lens will become accurate yet quiet. On the other hand, the floating focusing system helps the lens to achieve an optimized performance in each subject. One of the biggest features that this lens can offer is its compatibility with USB dock. With the help of SIGMA optimization pro, you can update the firmware of your lens and adjust its parameters like focus. Just like other lenses in this list, this lens has also lightweight feature as well as the compactness of nature. In fact, its weight only falls in 7 ounces while the dimension is 2.1 x 2.8 x 2.9 inches. This lens provides a high reproduction quality as well as stunning images but remains at an affordable price. 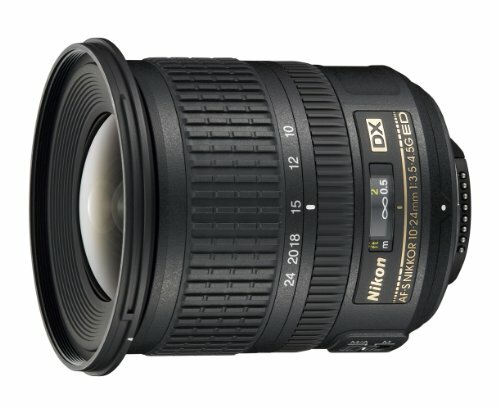 The aspherical lens element of Nikon AF-S DX NIKKOR 35mm f/1.8G Lens minimizes the coma and other types of lens aberrations. This contributes a lot to the overall quality of image this lens can produce. Aside from that, the Nikon super coating of this lens also works in enhancing the efficiency of light transmission thus, it offers consistency of color as well as reduction of flare effects. As a result, your image will come into a more realistic output. With suitability for low-light conditions, travel environmental portrait and general photography, this lens is undeniably a versatile one. No wonder that this lens is a good choice and partner of your Nikon D3400 DSLR camera. 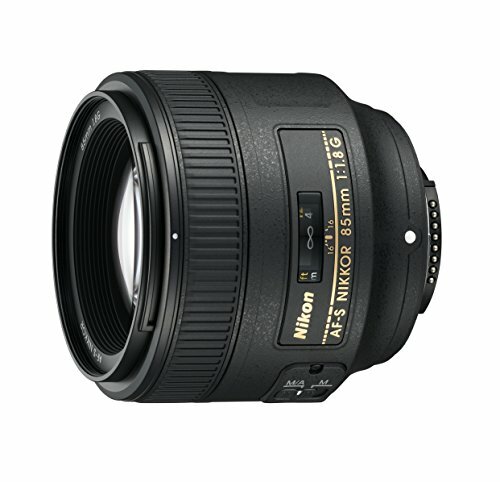 The Sigma 18-35mm F1.8 Art DC HSM Lens is specially designed for APS-C sized sensors. 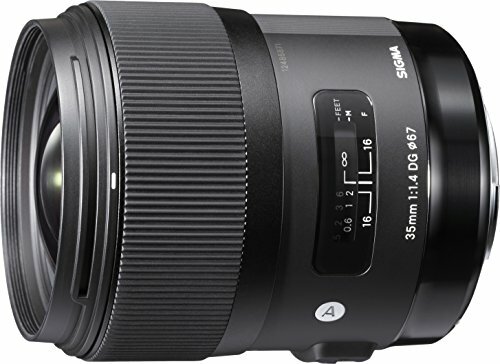 With its offered focal length that ranges from 18-35mm, this lens is perfectly suited to use for landscapes, portraits, still photography snapshots, casual and close-ups. This lens might be a great partner with your Nikon D3400. This is because of its capacity to provide usability as well as functionality at the same time. Thanks to its great ability when it comes to internal focusing and zooming ability. 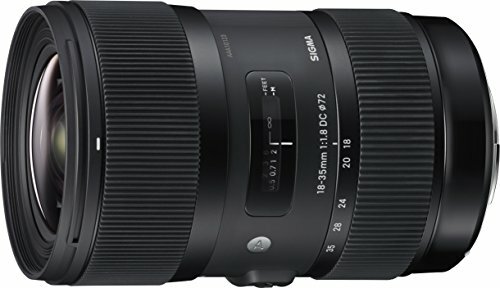 Just like other lenses under the Sigma product line, this one also features its compatibility with USB dock. Because of this, updating the firmware and adjusting the parameters such as focus is never been a problem with this lens. Even in performing different operations, this lens still works smoothly which makes this lens a reliable choice. With a dimension of 4.8 x 3.1 x 3.1 inches and weight of 1.79 pounds, this lens is light in weight which is suited to become your photographic buddy. This telephoto lens is a compact choice yet classy at the same time. With a focal length of about 70-200mm and a maximum aperture of f/2.8, this lens works well and fine in different sceneries. Added to its features is the moisture-resistant construction which helps in preventing the moisture to penetrate the lens. With the help of this technology, the quality and capacity of the lens are maintained which will result in effectiveness in each shot. The new VC anti-shake mechanism of this lens has 4 stop advantage. This technology helps the lens in creating a stabilized image without blurry effects and backgrounds. This lens also features the Ultra Silent Drive or USD which work for quiet and quick focusing. The dimension of 7.8 x 3.4 x 3.4 inches and a weight of 3.24 pounds of this lens lies the better performance which you may benefit in using this lens. This lens is another telephoto type which is compatible with your Nikon D3400. It has a dimension of 5.7 x 3.1 x 3.1 inches and weight of 1.64 pounds, this lens provides superior performance. Its featured vibration reduction technology helps in creating a stabilized image while it’s Silent Wave Motor supports its efficiency. 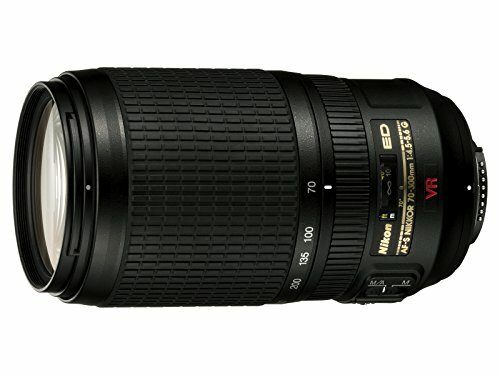 With a focal length of 70-300mm, this lens is a good choice for different types of photography. 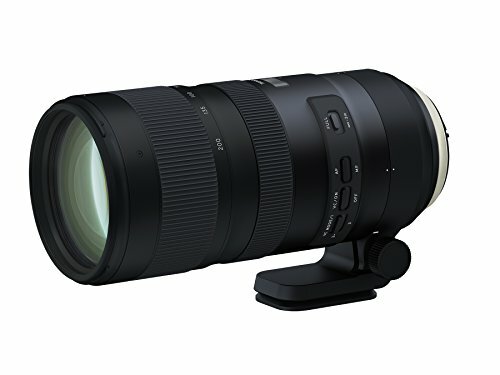 This lens is a great telephoto lens which has many features and properties that are working together in order for you to capture perfect pictures. Since the chosen lens has a huge impact to the clarity and quality of the picture itself, it is necessary for every buyer to have a deeper idea about the different types of lenses and what are their uses. In this, way, no more wastes of time in choosing the lens that you less needed. This type of lens is perfectly suited for photography in indoor, as well as nature and landscape. Though this lens works good in other types of photography, these types are where this lens works out the best. When talking about the standard lens, it can be compared to how people see the world. This is the type of lens which provides a realistic output and it also fine to use for most types of photography. The most standard lens was chosen by many photographers’ professional or hobbyist because of its overall versatility. Lenses which are heavier and longer are what we called the telephoto lens. The use of this lens will make the object closer even if is far. Unlike the standard lens, the use of telephoto lens will matter on purpose and situations. Despite the heavy feature of a telephoto lens, there are still choices in the market which offers light in weight properties. From the word macro, this lens is just like using a magnifying glass. The use of this type of lens will make the object transform into bigger compared to real life. Macro lenses are perfect for taking pictures with smaller items as it will provide you with every detail of your object. Under this category are the zoom and prime lens. While the prime lens has the same and certain focal length, the zoom lens has changeable focal length. The fact that every lens has its own properties and capabilities, it is necessary to not just choose the known brand you preferred. You must also consider the type of lens you plan to choose.